For anyone who knows about vacuum cleaners, Shark Clean is not a new name. 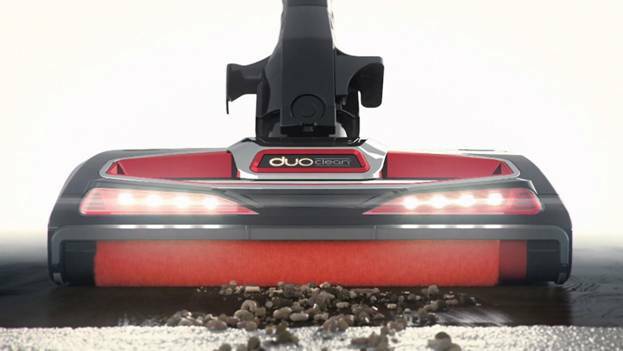 The company is known for quality vacuum cleaners including their efficient Shark Rocket Complete with DuoClean which has been rated as one of the most efficient corded stick vacuums in the market. When it comes to shark rocket model comparison with other upright vacuums, it is clear that this small unit has great cleaning prowess which makes it stand out in the crowd especially if you are looking for maneuverability and convenience. Compared to other stick vacuum cleaners in the market, the Rocket offers some great results that will surely captivate anyone seeking for great suction. The unit has great convenience factor and does a good job on different surfaces. The Rocket comes with ease of use and whether you are cleaning hard surfaces or carpets you will be guaranteed of efficiency. With one of the longest reach among the many different corded stick vacuums, you will surely enjoy cleaning your house without the need to unplug and plug-in with every single step. Rocket DuoClean can reach up to 33.5 feet. The Shark rocket model comparison with other units as far as agility and maneuverability is concerned is also very impressive. The Shark Rocket Complete with DuoClean has a swivel steering which makes it agile and maneuverable thus making it easy for you to clean even the tightest of floor areas with little effort. You can easily store the corded vacuum using the wall mount bracket or even detach its heavier top part depending with your preference. The Rocket weighs in at 10lbs which makes it a little bit heavier than other models. However, this does not affect its portability in any way. The Rocket Complete DuoClean has several accessories and attachments that make it suitable for different cleaning needs. It is a handy unit for cleaning small rugs and bare floors. With the inclusion of soft brushroll, the vacuum easily gathers particles while the bristle brush whisks the dirt before being sucked into the air flow. The Rocket has a strong motor which provides 2 great suction modes, one which can be used for cleaning small rugs and bare floors while the other is ideal for high pile carpets. The Rocket has a 600 watts mortar which is 100W more compared to the HV320 series. It has a capacity of 0.25 gallons which is not different from what you get from the HV320 series. However, this is twice as spacious as what you get from HV300 series.